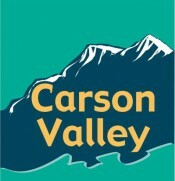 Carson Valley Art Center - we are a full service art studio including classes to meet all skill levels weather you're a beginner or an advanced artist looking to renew or refresh your creative side we have it all. There's something for everyone. If you want to join a class or just to work on your own stop by and see what we have to offer. A full ceramics studio with wheels and hand-building stations, mid fire kiln, glazes and more.